After Ryan Seacrest’s former hair stylist at the E! 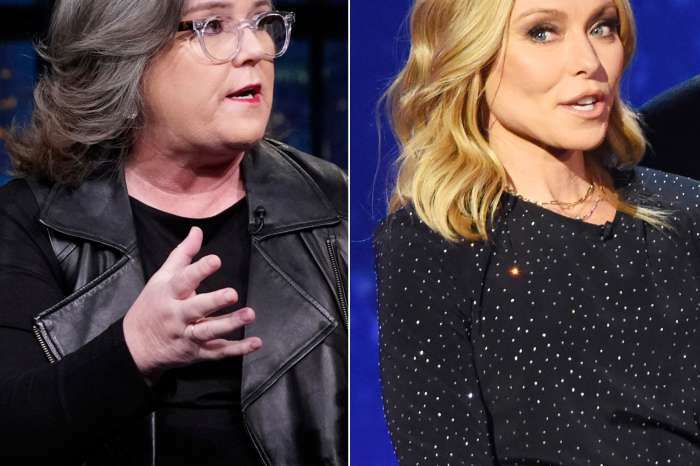 Network accused him of sexual harassment this past week, his co-host on Live!, Kelly Ripa, came to his defense on their show. But despite her words of support, Seacrest and Ripa’s friendship may not be as good as it seems on air. According to Page Six, Ripa doesn’t want to risk anything happening to her popular morning show, and she is livid because the allegations against Seacrest could potentially mess things up. “They oversell their friendship…Her reputation is rolled up in this — this is her show. For Kelly, there’s not a Plan B. She has to make a decision and rally around him,” claims a source. Seacrest has denied the allegations of sexual harassment leveled against him by Suzie Hardy, who claims that the American Idol host pushed her head towards his crotch while she tied his shoes. An anonymous source who also worked with Seacrest has corroborated Hardy’s story, claiming that they witnessed the behavior multiple times. He then stomped his own shoes on himself. But, the next day, Ripa sang her co-host’s praises when she declared in front of their audience that Seacrest is a privilege to work with and she adores him. She added that she is looking forward to seeing Seacrest on the red carpet at the Oscars, and he is a professional and great person. She concluded by saying that she is lucky to work with him every day. Ripa famously had a meltdown when her former co-host Michael Strahan quit the show without giving her any kind of notice. And, since Seacrest joined her last May, he has done everything he can to stay on Ripa’s good side, because she has a lot of pull on Live! and influence over him. When Seacrest was supposed to appear on ABC’s Good Morning America – which Strahan now co-hosts – to promote the new American Idol with Lionel Richie, Luke Bryan, and Katy Perry, he pulled the plug on the appearance at the last second at Ripa’s request. Apparently, at the time, Kelly Ripa was worried about Ryan Seacrest’s new affiliation with ABC and was worried that they will eventually take him away from Live! too. Live! with Kelly and Ryan airs weekday mornings on syndication throughout the country. Donald Trump Says Melania Is 'Next To Leave' The White House - Hints At Marital Problems?